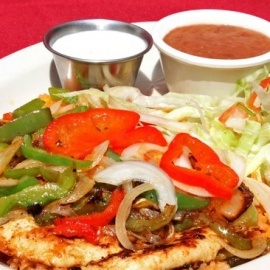 Las Brazas Fine Mexican Cuisine offers the best Mexican cuisine in Dallas! Join us for Happy Hour every Monday - Friday from 4pm - 7pm for Â½ price margaritas & beer! Plus, check out our daily weekday lunch special for $9 - includes ice tea, chips & salsa! Las Brazas Fine Mexican Cuisine can also host your private party and special event! Come to Las Brazas Fine Mexican Cuisine for great food, margaritas & atmosphere in Dallas!